Digital marketing is crucial for any business to compete in this online world. Reaching your target audience through digital marketing is allows you to expand your business quickly. There are a variety of digital marketing services available to help you with your online marketing plan. 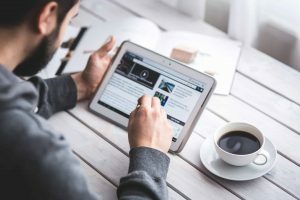 While these top 7 services can be effective in digital marketing, the team at Performance First Marketing can ensure they connect you with your audience. Search engine optimization (SEO) is a way for you to get your site to rank at the top of a search engine results page. Factors like high-quality content, the use of relevant keywords, and the use of links in your copy work together to lead your intended audience to your content. At Performance First Marketing, we have a thorough understanding of SEO strategies and search engine algorithms and have the capability to assist you in making the necessary adjustments to your site to increase your content’s visibility. Social media marketing is valuable in that it gives you the opportunity to create and maintain a strong relationship with your audience. Your social media accounts should provide potential clients with an overview of who your firm is and what you stand for. With the right social media marketing strategy, you can take advantage of the number of people that use social media and utilize this platform as a way of getting your message out there. Pay-Per-Click (PPC) marketing is a fast way of increasing traffic towards your site. The quick results are one of the benefits of this marketing strategy. The basics of PPC campaigns are that you pay to have your advertisements show up first on the search engine results page, making them visible to your desired audience. PPC campaigns may seem simple, however, these types of campaigns require a carefully thought out and implemented in order to have long-term success. Performance First has the expertise necessary to plan out your PPC campaign. Putting out content that is relevant and high in quality, such as through a blog, is highly attractive to your website users. People like having access to all the information they need in one place. Publishing content regularly keeps you current in the search engines and will keep readers returning to your page, but creating high-quality content can be difficult. With our team of experienced writers, your website’s content can continue to drive in clients and visitors. Email marketing entails sending out emails to your intended audience in order to advertise and direct people towards your business. This is a means of creating brand awareness and instilling a feeling of loyalty in your clients. It is important to have an understanding of your intended audience’s online habits as well if your digital marketing plan is to be successful. Performance First is capable of processing your website’s analytics in order to determine what strategies are working and where there is room for improvement. Influencer marketing is a strategy that identifies influential people and uses them as a form of advertisement. An example of this type of marketing is testimonial ads.